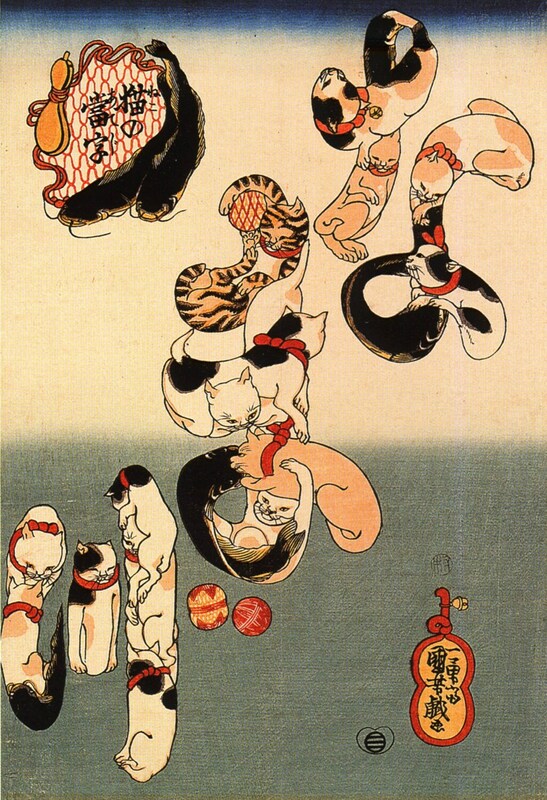 Who would thought that contorting cats spelling out the word catfish in hiragana syllables could be so charming. I particularly like the use of balls of wool in this quaint Japanese woodblock print. Apparently, the strokes of the last syllable, ず, are not yet in position, maybe he couldn't get the cats to stay still!